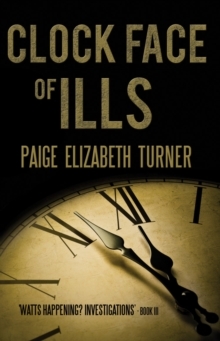 Paige Elizabeth Turner is back with Clock Face of Ills, the third instalment of the Watts Happening? Investigations series. In the book, Olivia Watts, former police sergeant and now proprietor of `Watts Happening? Investigations' is commissioned to assist a covert operation investigating allegations against DI Philip McMaster. McMaster is embroiled in a boundary dispute with his neighbour Giuseppe Caruso. When an untapped vein of a historic gold belt is discovered beneath the properties, McMaster offers to purchase the Caruso property. Days later, Caruso is found dead in his home. The routine `tail and report' investigation uncovers McMaster's association with a gangland killer and a crooked solicitor. Olivia ties McMaster to fraud, deception and murder, only to find her evidence against the long-serving officer rejected by the police brotherhood. Within days Olivia's life is threatened. Will she uncover enough evidence in time to protect herself and find Caruso's killer?Clock Face of Ills is a gripping crime novel that keeps readers hooked until the very end. 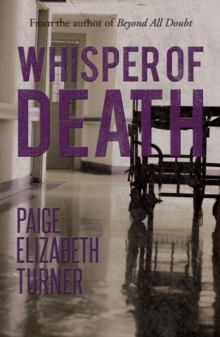 Comparable to the work of Sue Grafton, the book will appeal to fans of crime novels, especially readers who have enjoyed Paige's previous two novels, Beyond All Doubt (Matador, 2017) and Whisper of Death (Matador, 2017).